Hopefully, you use a password manager to secure the keys to your digital life. They’re much more convenient than trying to remember strong passwords, and more secure than using your browser’s insecure password-saving feature How To View Chrome’s Saved Passwords From Anywhere (And How To Stop It) How To View Chrome’s Saved Passwords From Anywhere (And How To Stop It) Having many online accounts requires so many passwords. And since it is now conventional wisdom that you need a strong password, you can't get away with PASSWORD or 12345. Read More . However, a password manager isn’t any good if hackers can break into it, which means that the companies behind these tools are always trying to make their products better. 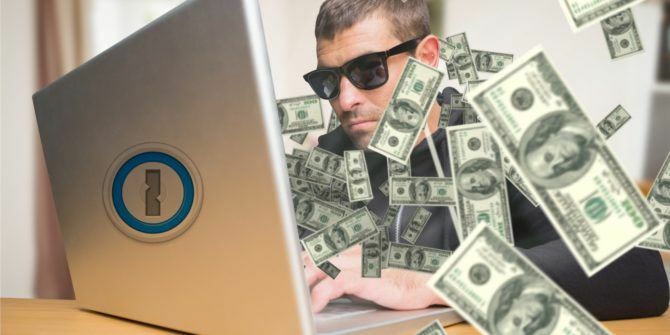 You can check out the security bounty 25 Awesome "Bug Bounty" Programs for Earning Pocket Money 25 Awesome "Bug Bounty" Programs for Earning Pocket Money If you have expertise in security protocols, you could make some extra money hunting for bugs in popular apps and websites, and being rewarded with a bug bounty. Here are the best-paying programs in 2016. Read More on BugCrowd, a service which allows companies to reward people for finding vulnerabilities in their software. The $100,000 prize is currently the largest on the service, but 1Password warns that it won’t be an easy task. By learning about vulnerabilities from skilled honest hackers instead of at the hands of the malicious, 1Password keeps your passwords even safer How Password Managers Keep Your Passwords Safe How Password Managers Keep Your Passwords Safe Passwords that are hard to crack are also hard to remember. Want to be safe? You need a password manager. Here's how they work and how they keep you safe. Read More . Average users will probably never have accounts under the attack that this bounty requires, but it’s always better to over-test than under-test. If you think you’re up to the task, check out 1Password’s BugCrowd page for instructions. Winning some cash and helping millions of people keep their passwords protected is a great combination. The huge payout shows that the company is serious about your security, which is important if you’re storing all your passwords with them! Don’t forget that even a secure password manager can become compromised if you make basic security mistakes Are You Making These 6 Password Manager Security Mistakes? Are You Making These 6 Password Manager Security Mistakes? Password managers can only be as secure as you want them to be, and if you're making any of these six basic mistakes, you're going to end up compromising your online security. Read More on your end. Are you interested in trying to break into software for a bounty like this? Tell us if you use 1Password or another manager in the comments! Explore more about: 1Password, Hacking, Security Bounty. Seems like an opportunistic PR/attention grab in the wake of the LastPass debacles wherein they were found with 2 major security flaws recently exposing user password vaults. In which case, good on them for being proactive about it.